When it comes to Christmas craft for toddlers, these toddler made Christmas decorations are one of my favorites. They are really simple to make, and they look fantastic. We hang some of them on our tree and wrap up a few as presents too. Sticky sequins – make sure you get the sticker version. Gluing on regular sequins is way to hard for a toddler and they don’t stick very well either. 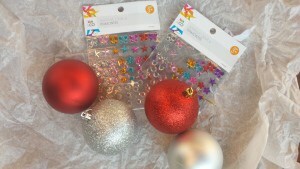 Stick the sequins onto the baubles – try to encourage your toddler to space them out a little big. Hang on your tree or wrap up as a gift. This post is part of the 30 Days of Home Made Kid Ornaments, where you can find lots more great ideas. 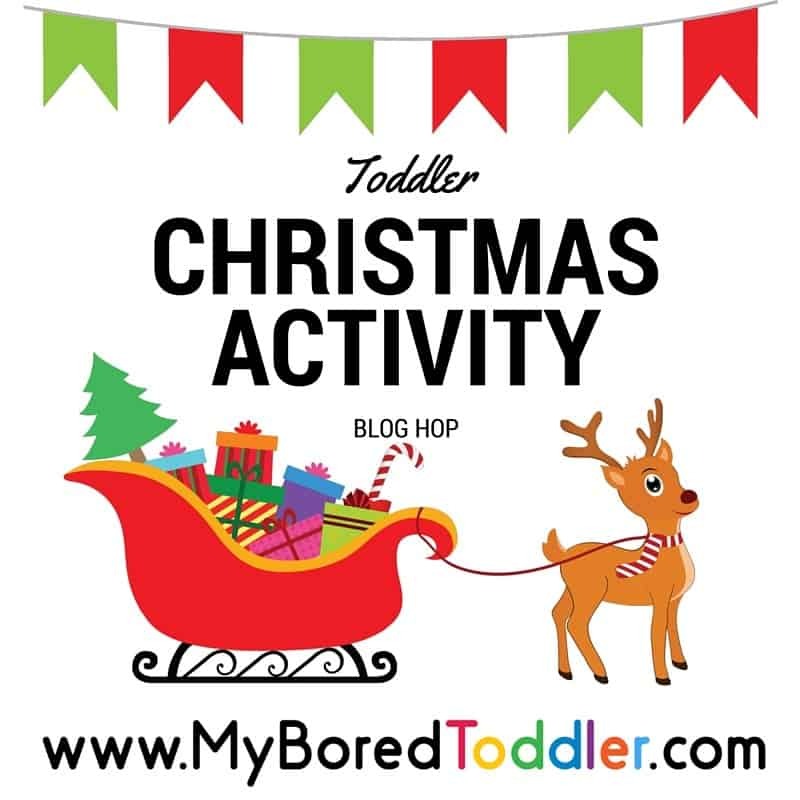 It is also part of our Toddler Christmas Activity Blog Hop, where we will be sharing a new Toddler Christmas activity each day! 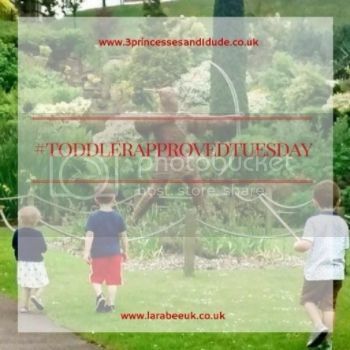 If you want to keep your toddler busy makes sure you subscribe to our weekly newsletter and follow us on Facebook, Twitter and Pinterest. You may also like 10 Toddler Painting Ideas WITHOUT using a Paint Brush and Toddler Boredom Busters. Perfect idea and so easy for little toddler fingers to do. Thanks for the idea! I am also participating in the kids ornament craft later on in the month. Will pin to my group Christmas board. Love these! 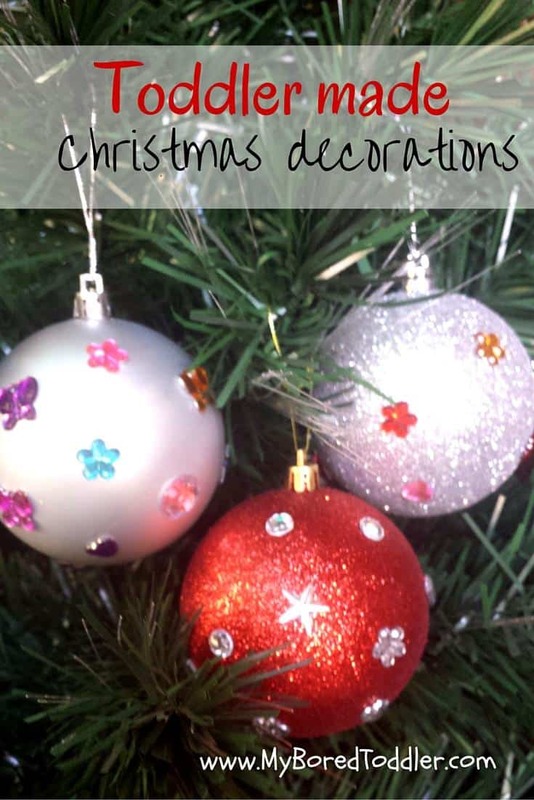 The sequins really add a lot to otherwise plain ornaments. Thanks for participating in the series. Thanks Kim. Loving the series, so many great ideas! How easy but so pretty! These would make great gifts! These are adorable and such a fun activity for your little ones!